Sleep apnea occurs when breathing during sleep is not normal. There are three main types: obstructive, central and mixed (also known as complex). Someone with sleep apnea has abnormal breathing events during sleep, each lasting for at least 10 seconds. While it is common (and normal) to have some periods of irregular breathing during sleep, patients with sleep apnea experience these breathing events more often. There are three different categories to describe the severity of sleep apnea: mild, moderate and severe. Patients with mild sleep apnea (which is the most common) experience five to 15 abnormal breathing events per hour; moderate patients experience 15 to 30 events per hour; and severe cases experience more than 30 events per hour. Obstructive sleep apnea is the most common type of sleep apnea, affecting at least 3 percent of adult women and 10 percent of adult men in the U.S. Obstructive sleep apnea has become more common in both women and men over the past two decades. For these patients, there is a blockage — or obstruction — in the nose and/or throat during sleep. Most people with obstructive sleep apnea do not have problems with breathing while awake because the muscles in the body are active. When we sleep, however, the muscles in the body relax, including the muscles of the throat, which is a tube comprised of soft muscle tissue similar to the roof of the mouth (soft palate). The soft muscles of the throat may become so relaxed that the tube collapses and blocks the airway, causing this condition of obstructive sleep apnea. Central sleep apnea is different. In this condition, breathing stops because a person’s brain does not send the signal to breathe. There are different types of central sleep apnea, and they have different causes and treatments. One type is Cheyne-Stokes respiration, a pattern of breathing that usually exists in the setting of congestive heart failure. Periodic breathing is another type of central sleep apnea that generally occurs at higher altitudes. Some are related to various medications like narcotics or sedatives, and others have no known causes. Mixed sleep apnea includes aspects of both obstructive and central sleep apnea. Some patients develop this combination on their own, however, more often this condition occurs when someone with obstructive sleep apnea is treated with positive airway pressure therapy and develops central sleep apnea due to the treatment. This was initially called complex sleep apnea and is now called treatment-emergent or treatment-resistant sleep apnea, depending on whether central sleep apnea existed before they began this therapy. In approximately 90 percent of patients with mixed sleep apnea, the central sleep apnea clears up on its own. 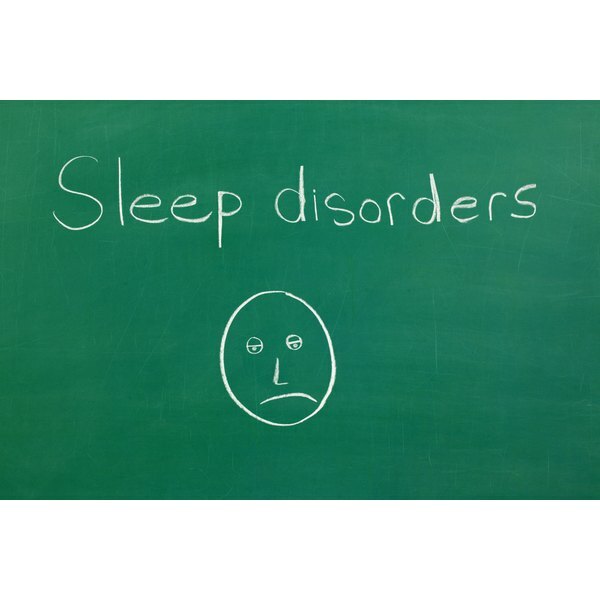 Central sleep apnea that does not resolve may require changes in treatment.